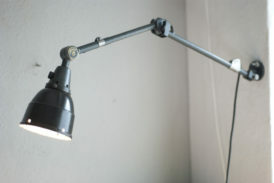 After the thorough dismantling of all elements, the lamp was cleaned, and rebuilt again. 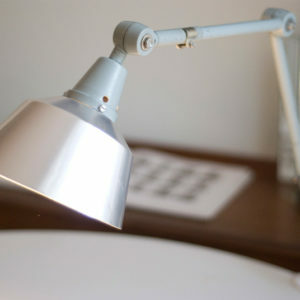 The coat of the enameled shade has few losses. 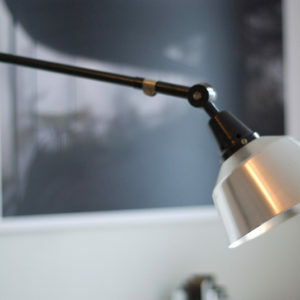 The light bulbs has to be changed with caution. 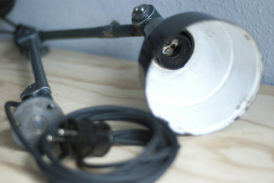 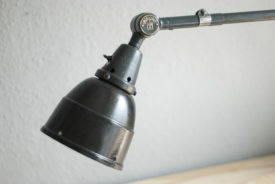 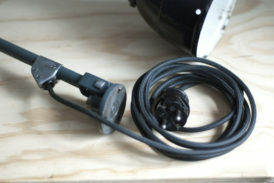 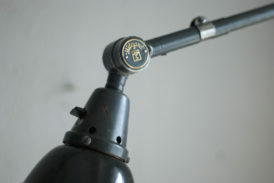 The light is operated by a rotary switch located on the bakelite bulb socket. 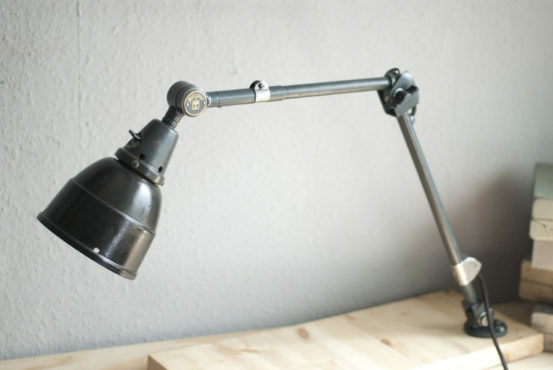 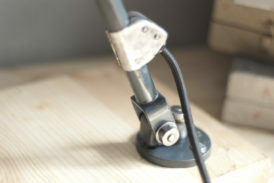 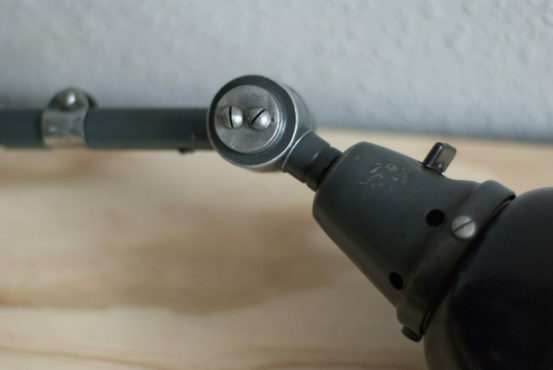 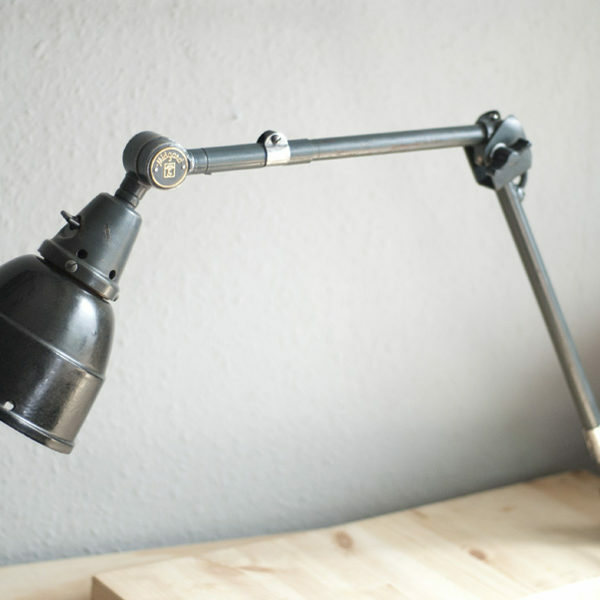 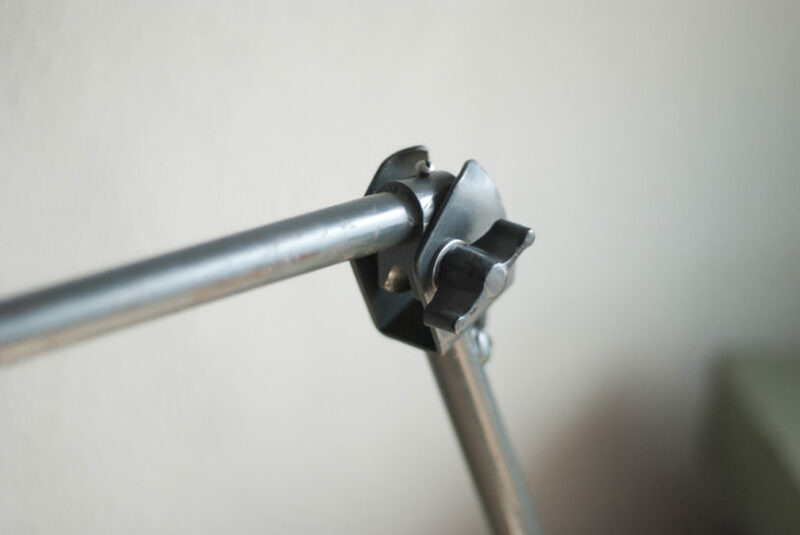 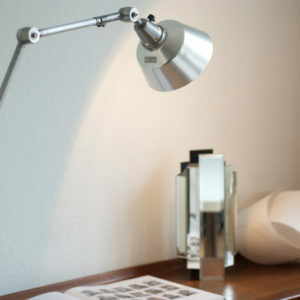 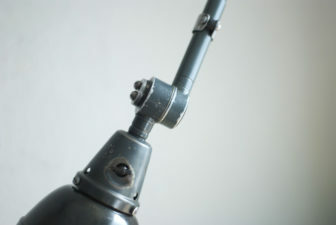 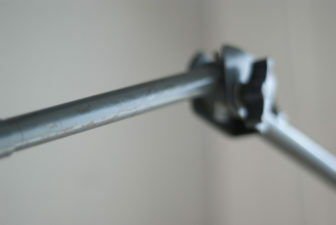 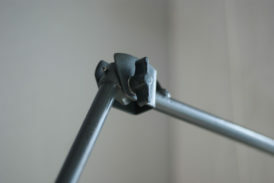 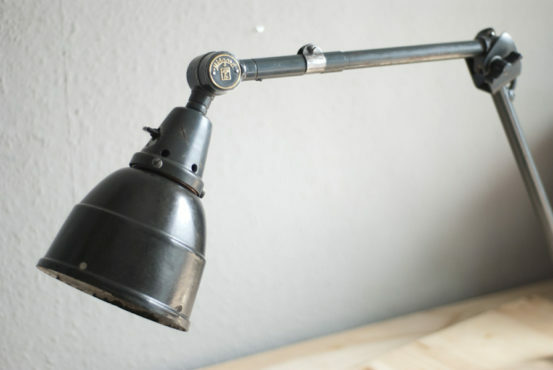 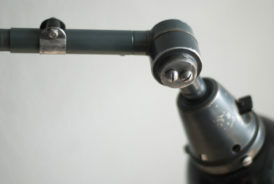 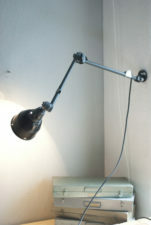 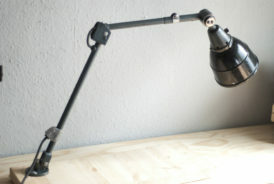 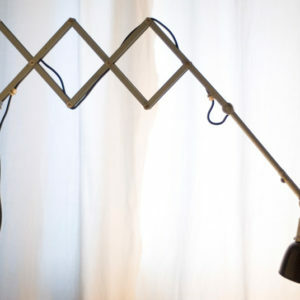 The lamp can be screwed to the table with the table-mount bracket and screws or at the wall.